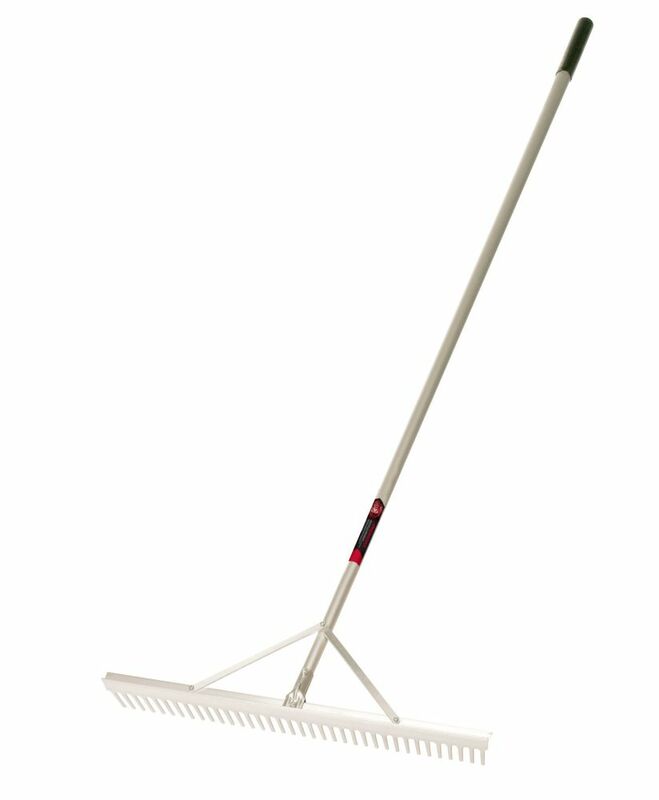 Landscaping Rake with aluminum handle. Perfect for levelling the ground in the construction of a flowerbed or garden. Provides excellent finishing work. Ideal for levelling the ground when arranging flowerbeds or vegetable gardens or adding the finishing touches. Garant Garden Care lawn rake with curved metal tines to dig deep into lawns and remove thatch and debris from tight spaces, and a long handle made of sturdy varnished hardwood to rake debris out of hard-to-reach areas. Razorback Landscaping Rake Landscaping Rake with aluminum handle. Perfect for levelling the ground in the construction of a flowerbed or garden. Provides excellent finishing work.